As soon as Scott Frost accepted the job at Nebraska, he and his staff went to work trying to overhaul the roster. After some hard work on the recruiting trail in a short amount of time, Nebraska signed a 24-man recruiting class. Five of the recruits come from the junior college ranks and six of them are rated as 4-star prospects according to Hail Varsity’s composite. Hail Varsity has already highlighted five under-the-radar returners who have a great chance at earning playing time on both offense and defense. Which of these newcomers have the best opportunity to do the same? Honas, a thumper out of Butler Community College, was Nebraska’s hand-picked successor to Chris Weber at inside linebacker. Nebraska has Dedrick Young II returning at one spot and guys like Mohamed Barry and Avery Roberts pushing for more substantial roles, but Honas is expected to be a day-one starter in Lincoln. Honas has great instincts and is a punishing tackler and inside linebackers coach Barrett Ruud is very high on him. Honas averaged 8.7 tackles last season at Butler and also chipped in three sacks and two interceptions including a pick-six. He should bring a level of physicality to the linebacking corps that Nebraska just didn’t have last season. Bell is another junior college recruit who could be a day one starter in Lincoln. The dynamic back out of Arizona Western Community College is the kind of all-around threat that thrives in Frost’s system. Bell has an excellent combination of size and speed and the skill set to do everything Frost asks of his running backs. He’s a tough runner between the tackles, he has excellent hands out of the backfield and he’s not afraid to hold his ground in pass protection. With Tre Bryant's status up in the air and Bell participating in spring ball, he has a great chance of grabbing the starting running back spot and, well, running with it. Nebraska has two absolute studs at wide receiver coming back in Stanley Morgan Jr. and JD Spielman, but Frost’s system spreads the ball around and Nebraska needs some more receivers to emerge. Two of Frost’s seven wide receiver recruits are already on campus. Justin McGriff is one, the 6-foot-6 receiver who could move to tight end as he adds weight to his frame. The other is Mike Williams, a speed demon from East Mississippi Community College who has already added about 15 pounds under Zach Duval’s strength and conditioning program. He has tremendous footwork and quickness and could be a real weapon in the slot. If Frost experiments with moving Spielman around and trying to use him in different ways, that could open up snaps in the slot for Williams as would four and five wide receiver sets. Unlike the other four junior college additions, Deontai Williams is just a sophomore after he only played one season at Jones County Junior College. Like the previous three players on this list, Williams is taking part in spring ball, giving him a great chance to make the transition to Division I football smoothly. Nebraska needs cornerback help. Lamar Jackson, Eric Lee Jr. and Dicaprio Bootle all played quite a bit last season but they all struggled in Bob Diaco’s defense. Snaps at that position are very much up for grabs. Williams looks like a great bet to earn the slot corner position at least, and he might get a crack at an outside corner spot if the returners don’t show significant improvement. 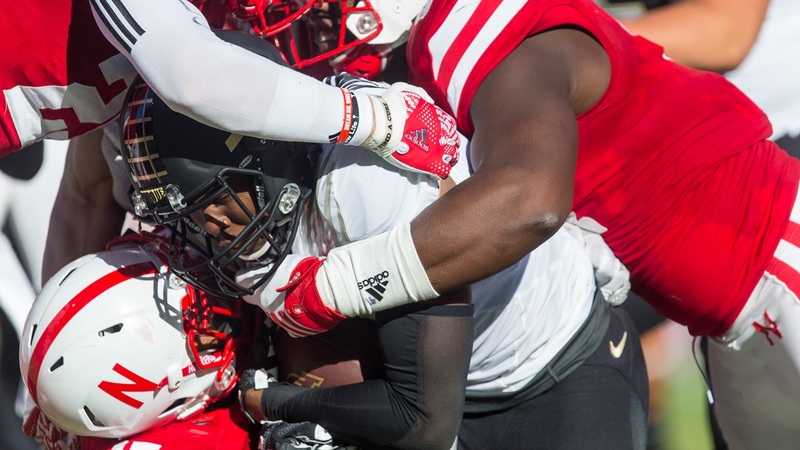 Williams is a versatile defensive back who hits hard and could also play safety at Nebraska. The final entry on this list is the only high school recruit who made the cut, and he isn’t even one of the early enrollees. However, at a certain point, talent has to win out. Jones is a favorite of Hail Varsity recruiting analyst Greg Smith. He’s not the most highly-touted recruit according to Hail Varsity’s composite rankings, but Smith believes Jones might be the most talented player Frost signed in 2018. Nebraska has a few options at safety next to Aaron Williams in Marquel Dismuke, Antonio Reed and potentially JoJo Domann once he returns to full health among other players, but none of those players showed enough to believe any of them will lock down that starting spot vacated by Joshua Kalu. Enter Jones. The safety out of Mansfield, Texas, checks all the boxes: he’s fast, he’s strong, he shows solid ball skills and, like the other three newcomers on this list, he can really hit. We’ve limited ourselves to five players for this particular list, but with Frost’s willingness to play young players and with the season Nebraska is coming off of, there are several others who could carve out roles for themselves this season. These are just the top five who have the best combination of talent and opportunity according to Hail Varsity’s staff.